The symptoms occur because hormone levels rise and fall during a woman's menstrual cycle, rising 1-2 weeks before menstruation, and slowly declining just before starting, only to start rising again once the period starts..
How can abdominal massage help? Light abdominal massage, as part of a full body massage,can ease aches and pains associated with the syndrome by increasing blood circulation and lymph flow, and in turn, decreasing fluid retention in muscles, tissues and joints. It also aids in elimination of toxins and calming of the nervous system. Grapefruit essential oil is often used to soothe muscle cramping and help the body to relax. It often helps relieve irritability, ease mood swings, and reduce fatigue, food cravings, depression and bloating, thus dramatically affecting the symptoms and pain associated with PMS. The psychological benefits of massage therapy during this time are as helpful as the physical benefits. Decreased depression, anxiety and mood swings as well as increased calmness are all reported by those who receive massage during this time in their cycle. In 2000, a study was done by the Touch Institute of Miami to find out if massage would help women who suffer. In the study, 24 women with premenstrual disorder were randomly assigned to a massage or a relaxation therapy group. Half of the women had 30-minute massages two times per week for 5 weeks. The other half did relaxation exercises for 30 minutes two times per week for 5 weeks. The massage therapy group showed decreased anxiety, depression and pain symptoms immediately after the sessions. Massage therapists must be prepared to treat those who suffer from pain syndromes of referred pain with accurate trigger point therapy. There were also longer term effects of the group who received massage which included a decreased pain, decreased water retention and an overall easier menstrual cycle. The cost of abdominal massage for Premenstrual Syndrome can be slightly higher than relaxation massage, but usually not by much more. Be sure to specifically ask the massage therapist if he or she has experience working with patients who are having Premenstrual pain. They may also have had specific training in Trigger Point Therapy to learn these techniques. Self massage can be done by rubbing your stomach in a clockwise motion from the lower ribcage to about 2 inches below the belly button, and then back up toward the middle of the lower edge of the ribcage. Repeat 10 times. Next, massage with both hands (fingers facing) down the length of your lower torso to the pelvic area, then massage outward toward hips and to the groin area. Repeat 5-8 times. Lastly, move your hand to the center of your upper leg (at the groin area). In an upward motion, move hand toward the belly button, almost making a "C" shape. Do this with both hands, on both sides, and repeat motion 8-10 times. This DVD, Clinical Trigger Point Therapy Protocol for Pelvic & Abdominal Pain helps you learn how to release hip muscler trigger points related to the cramping and pain. 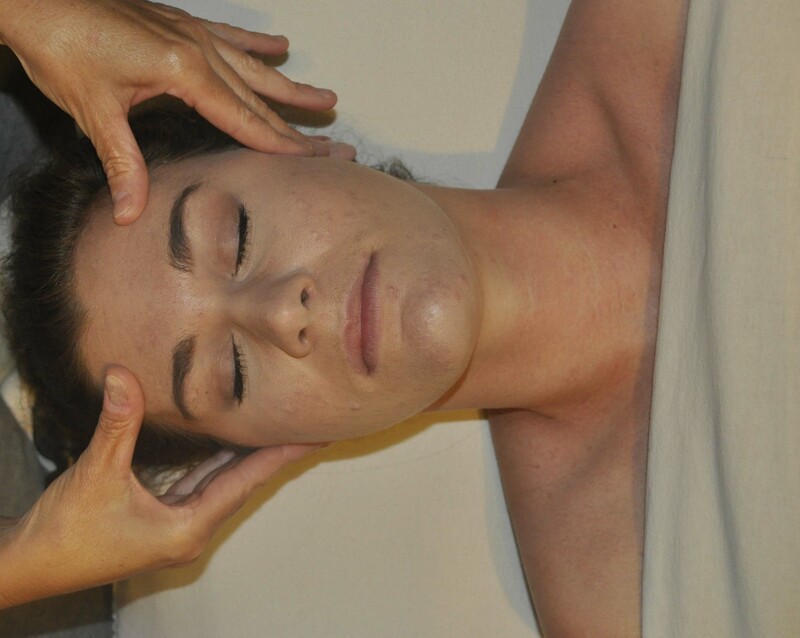 This one also teaches how to release many other common trigger points within the body. Learning to release the trigger points associated to PMS, and other common pain syndromes, helps every massage therapist grow their business, within the medical community in their town, and among clients who share information of the massage experience (and relief of pain) with friends and family.